With the new décor this apartment has gained light and space. 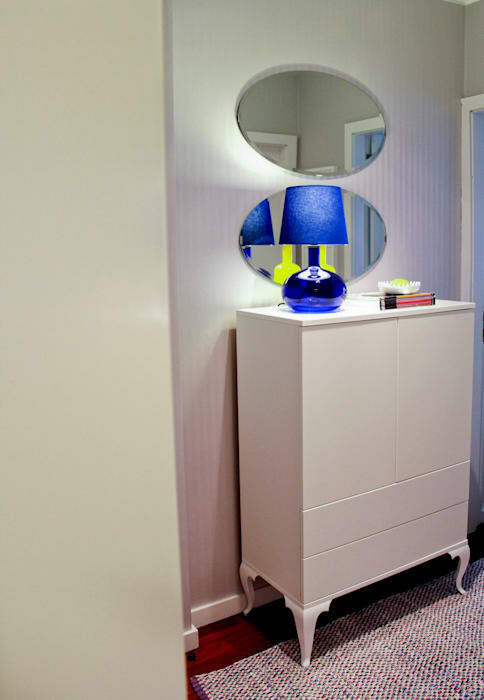 The positioning of mirrors in key places and the use of light colours has contributed to this effect. The design scheme for this apartment was achieved with a low budget.